Cut the apple in cubes. Beat all together in a blender..Very refreshing juice . Make a sugar syrup by adding sugar and little water. Just dissolve the sugar.Put off the flame and let it cool. Extract the lemon juice.Remove the seeds. Add to the cooled syrup. Mix well and keep it a bottle. When you need add water to 2tsp juice , chill it and drink. Kandvi is a Gujarati snack. I tried in microwave. It came out well. With in 4/5 minutes we can make this snack. 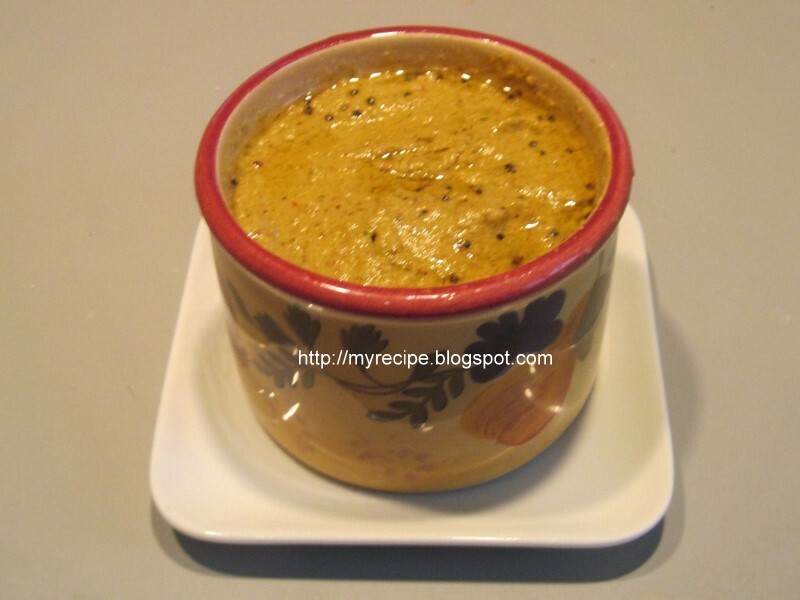 Mix yogurt, besan,turmeric powder, salt, ginger/chili paste and water in a microwavable bowl. It should be thin batter.. Mix it with egg beater or spatula without any lumps. Keep it in microwave for 2 minutes uncovered. Take it out and again beat with egg beater to make smooth batter.keep again for 2 minutes. Remove it and mix well and to keep it cool. Roll each strip neatly and place in a plate. Heat a pan with oil add mustard seeds and green chilies.. When it crackles add to the kandvi ,Sprinkle coconut and coriander leaves. 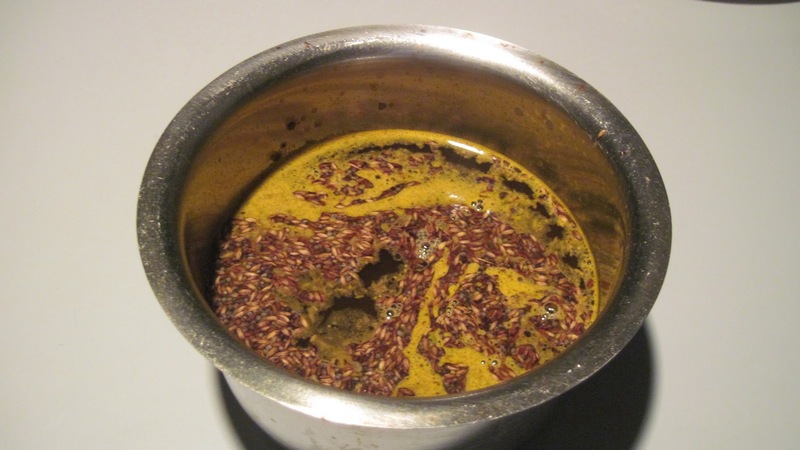 This rasam is very good for health.My mother in law makes this rasam with out parippu thanni. This rasam has different taste with the spices.Try and taste it. 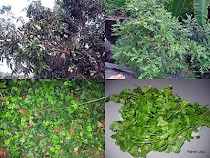 If anybody has fever, give this rasam to drink or eat with rice and chutta appalam..
Fry tur dhal, , jeera, curry leaves, and pepper corns . Grind all these into a paste/powder. Heat a pan with water add the asafoetida, turmeric powder, salt,and tamarind paste. When the tamarind smell goes add the ground paste. Heat a pan with little oil add mustard seeds, jeera (1tsp) and curry leaves. Soak the chana the previous day. Next day pressure cook the chana with salt. 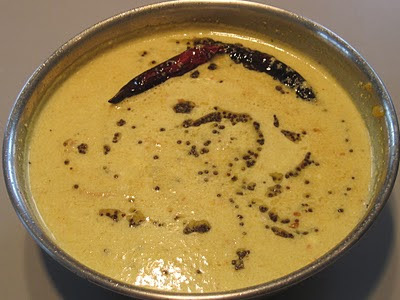 Remove the chana with water and keep.Fry the chili coriander seeds,pepper, pattai, curry leaves, cardamom and clove. Grind them with coconut into fine paste.Heat a pan add little oil ,add mustard seeds. When it splutters add the chana and the ground masala. The other 2 slices I tried halwa like (rava halwa )and it came out very well. Remove the sides of the bread and make very small pieces. Add ghee ina pan fry the bread pieces till it becomes golden. Then add the milk(If needed add more milk) and it should cook the milk. 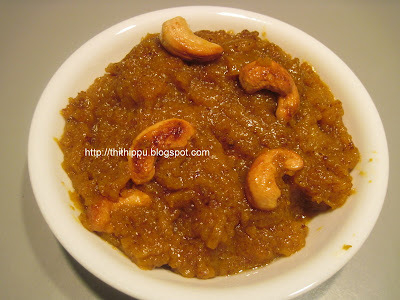 Add sugar, kesari powder and 1tbsp ghee and stir till it comes out of the sides. Decorate with roasted cashew nuts. I never expected it so tastier. The preparation is like rava kesari. We get lots mangoes in Kerala. My mother uses a particular variety of ripe mangoes for this pulissery.When I was in Kerala, I love to eat rice with mambhazha puliseri and varutha pappadam. Very tasty meal. Grind the coconut and ,green chili into a fine paste. Churn the yogurt and and keep. Wash the Mangoes and cut both sides and boil with with water. Heat a pan with oil ,add mustard seeds and red chili. When it splutters add to the mambazha pulissery. Serve with rice and fried pappadams.